These are some of the best Pampers diaper deals I’ve seen this year– especially for Pampers brand diapers! I knew all of you Mamas out there would appreciate saving a few bucks on these! We never know how long these deals are going to last, so I’d place your order ASAP! If you don’t need diapers? I’d still stock up. 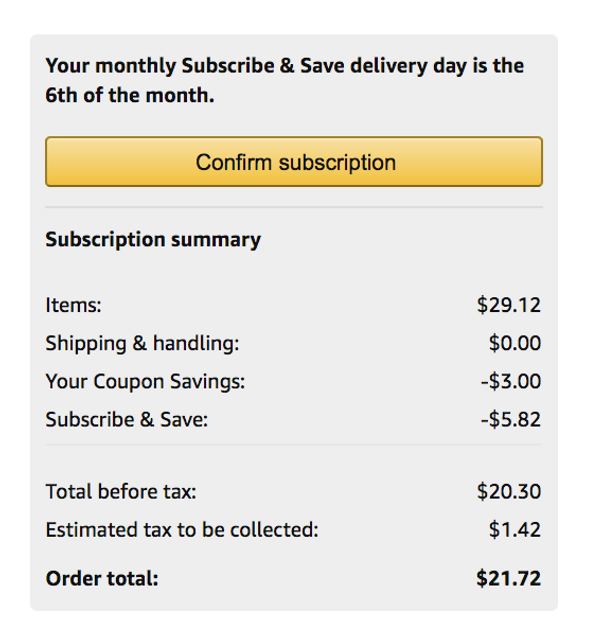 The first thing to remember is that if you order by subscribing to Amazon Family, meaning you sign up for recurring orders of diaper, you get a whopping 20% off, ON TOP of any Pampers coupons you may have). There are no fees associated with signing up, and you can cancel at any time. It’s the best way to get the best diaper deal out there. Here are the very best Pampers Deals this week, and if you want to just head on over to Amazon to take a look for yourself, you can do so here. This first deal is for Pampers Swaddlers diapers, and a huge box of 216 diapers costs $18.47!!! The picture says $24.31, but wait until you head to the checkout. The 20% off will apply itself immediately after signing up for Amazon Family! And again, it’s FREE! This is another option for buying Pampers Swaddlers, except it’s a smaller box. The deal is pretty much the same price per unit, or per diaper, so it just depends on how many you plan to buy. The Pampers Baby Dry is another diaper that is on sale. It is definitely cheaper than shopping at Walmart or Target, but it’s not quite the deal as the others listed above. Huggies is having a big sale on their diapers this week. I’ll post their biggest savings below, but if you want to take a look at all of the diapers, you can click here. This is one of the better Huggies deals I’ve seen–t’s the Huggies Little Movers Diapers, priced at just $.13 each when you apply the $3 coupon and 20% subscription with Amazon Family. Above is a side-by-side comparison just to show you that what you see priced below these diapers IS NOT what will read when you take it to the cart. Just don’t forget to apply your coupon! This is a Huggies diaper deal that is for your bedtime wetters– I have two of those! it’s on the nighttime diapers and these diapers usually run about $.75 PER DIAPER (isn’t that insane??). With the Amazon 20% off diaper deal, you end up paying $.29 per nighttime diaper.. still painful, but a lot less painful! 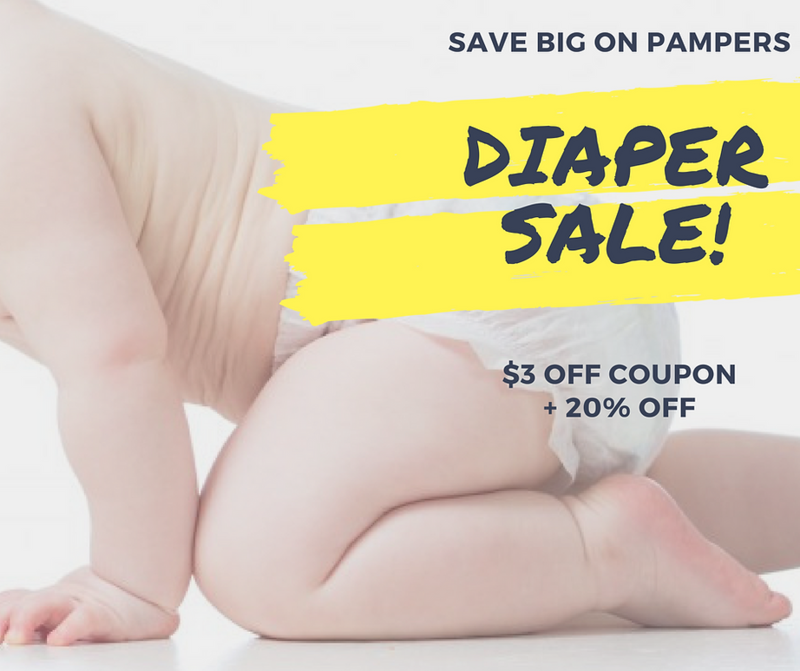 And the last rare diaper deal this week is on Pamper’s Easy-Ups–enjoy that $3 off coupon, because they don’t come around often for pull-ups! It brings the total down from $24.99 to $18 and some change.